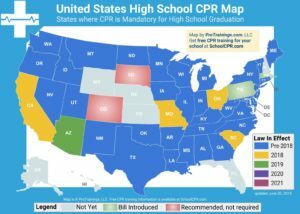 Student CPR is a program designed to incorporate CPR into high school curriculum on a large scale while overcoming the time and cost barriers with which schools are often faced. This is done by replacing the conventional classroom-based CPR course with an e-Learning course. This less expensive and more flexible option allows students to learn CPR from home or from a computer lab while allowing them to grasp concepts at their own pace. 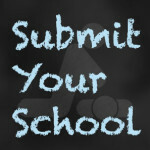 Each school then has the option to add a hands-on component, in which the student’s cognitive knowledge is evaluated on a manikin by a trained skill evaluator. Training of skill evaluators, training on the system, and follow-up service are all included so that implementation is fast and easy. As the name implies, this program is completely free. The only possible expense results from the addition of the hands-on component. More than 300,000 Americans experience cardiac arrest each year. That is where the ProTrainings mission begins and ends: with saving lives. This is done by creating training programs that increase the amount of information remembered, are easily available, and give providers the confidence to act decisively and knowledgeably when an emergency occurs. ProTrainings offers this while limiting the time professionals spend away from family or work. ProTrainings has the philosophy that you can’t put a price tag on saving lives, and therefore, offers all training and testing completely free and available on the web, 24/7. ProTrainings, beginning as ProCPR.org, was formed by experts in the medical, training, IT and website design fields. This training was designed for experienced professionals who are familiar with CPR and are seeking to refresh their knowledge and receive updates. After the successful launch of ProCPR.org, ProFirstAid.com and ProBloodborne.com, the company evolved into ProTrainings. ProTrainings is meticulous about teaching the latest guidelines for CPR and Basic First Aid and is passionate about seeking new and innovative ways to teach and present these guidelines. In 9 years, ProTrainings has certified more than 300,000 students worldwide and has supplied training solutions for hundreds of companies.